Way back when, we had a service called System Center Advisor, designed to give us proactive information regarding our configuration and best practice advise. 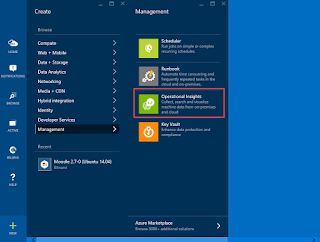 This was recently evolved into a new service named Operational Insights. This gave us a much more enhanced version of advisor with the ability to add Intelligence Packs to extend it further with features such as Capacity Planning, Security and Audit and Change Tracking for example. So just as we were expecting OpInsights to leave preview and go GA (it has today 4th May 2015) we also see some further changes. 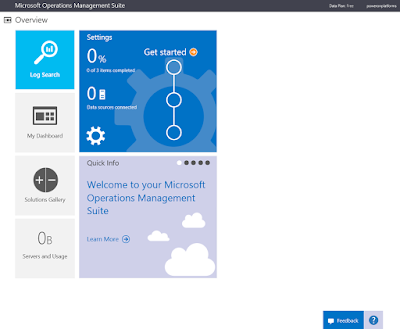 The name has now changed to Microsoft Operations Management Suite for a start. Not a name change, but rather an inclusion within the wider Microsoft Operations Management Suite (OMS) very much like Intune is a part of EMS. I just expect people will refer to it as OMS. We still have the Intelligence Packs from Preview, although these are now called Solutions, but we also have a few more goodies. 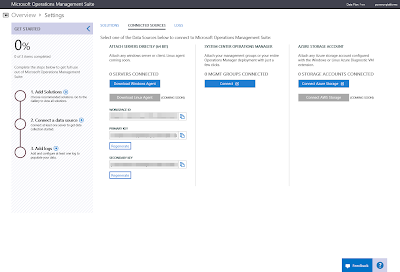 Azure Site Recovery - Monitor virtual machine replication status for your Azure Site Recovery Vault. Automation - Automate time consuming and frequently repeated tasks in the cloud and on-premise. N.B. You can check this post for more info on the Automation solution. 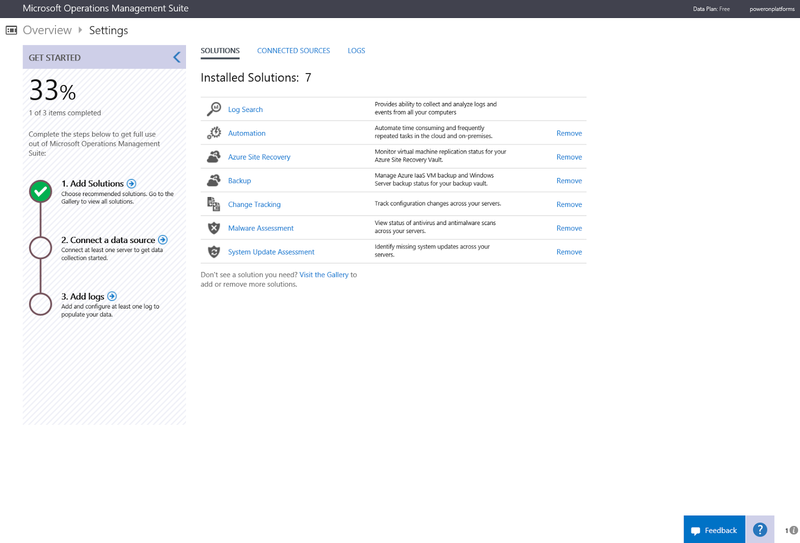 The thought process behind this is to start to pull together the collection of management services that Microsoft offers and give that "Single Pane of Glass" view into your environment. 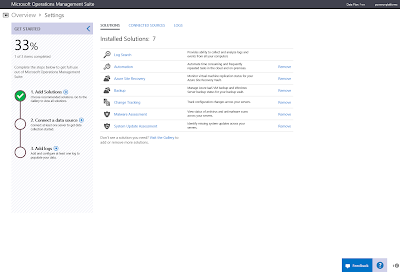 The service isn't just for managing your Cloud infrastructure, it's designed for Hybrid Management with the ability to take data for the OpInsights part from either direct connected clients (Microsoft Monitoring Agent for Windows and soon Linux) or agents connected as part of a System Center 2012 R2 Operations Manager connected Management Group. In fact, it really doesn't matter where your infrastructure is sitting, Azure, AWS, OpenStack, On-Premise, it just doesn't matter. It's all about centralising your management to make it easier. 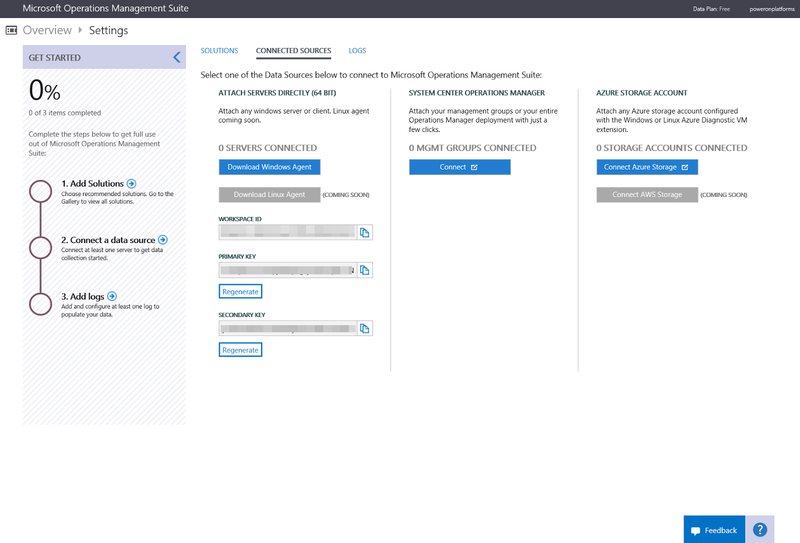 We also see the inclusion of managing services such as Azure Site Recovery Manager and Azure Backup which may be protecting on-premise servers. 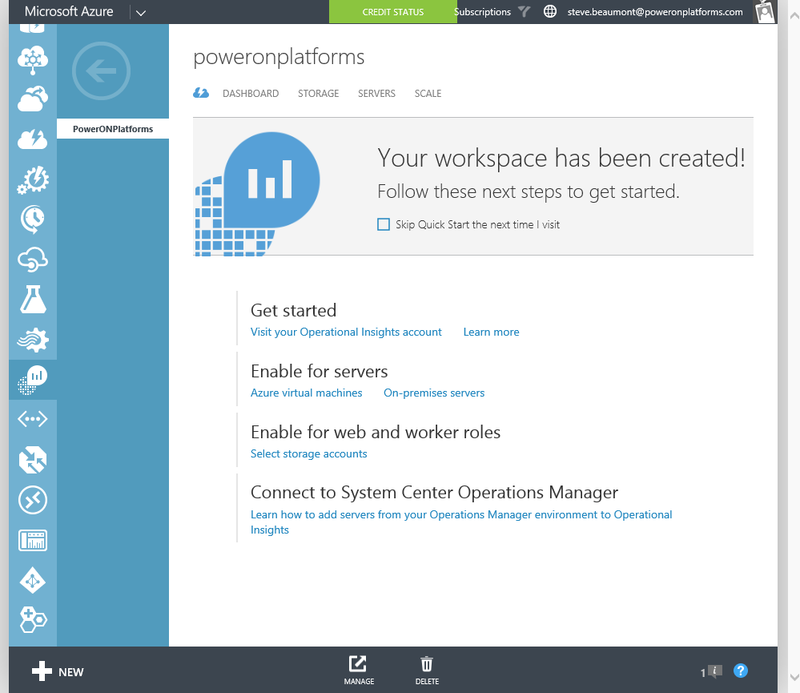 Along with the new Azure Automation capabilities which also bring the new Hybrid Runbook Worker role with it. The best thing about this, is there is a basic "free" plan meaning you can start evaluating and using this now, for no outlay and simply expand as required later. 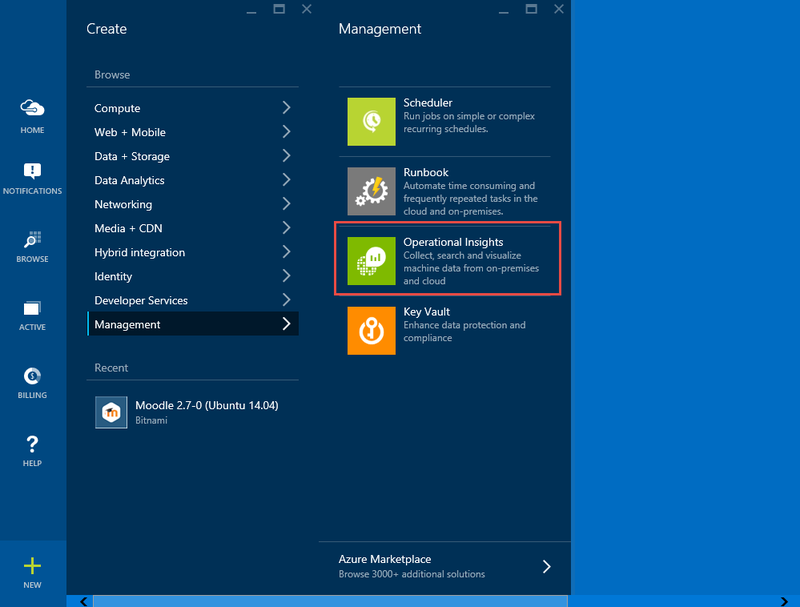 If you haven't already, signup for an Azure subscription and then add a new Operational Insights subscription and workspace. I'm going to make a prediction now, this is based purely on speculation and nothing that I'm privy to. 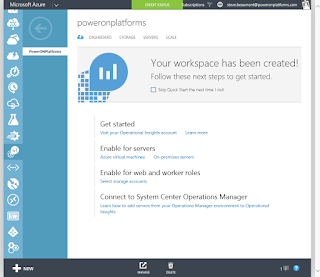 If I was a betting man I would hazard the guess that this gives Microsoft a very easy, centralised platform where they can very quickly turn on new management features and expand out the On-Premise System Center solutions to deliver new and exciting scenarios. I would certainly pay attention to this service and, I for one, am excited to see where they drive it. For example, I would love to see Intune integrated.